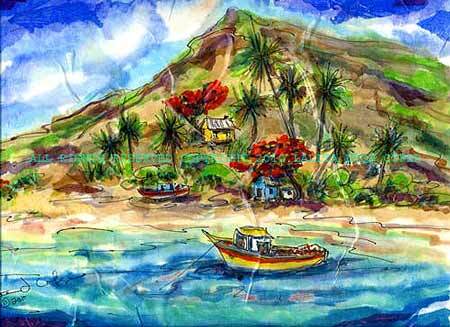 Transparent and intense, the color blue is the color of life on this beautiful island. 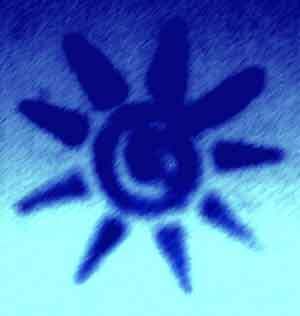 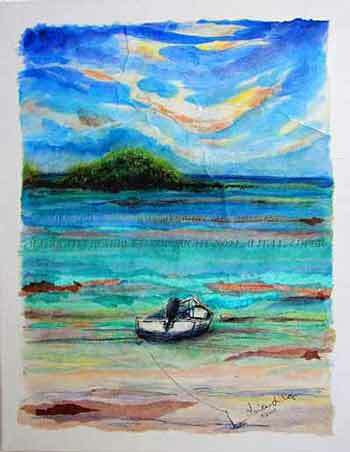 The blue, blue sea is the giver of life to all who inhabit this lisland. 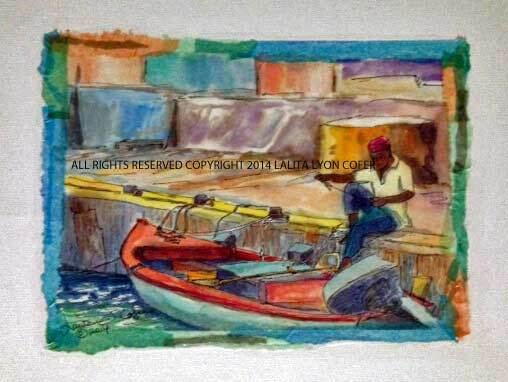 It is well known for ship building, yachties (yacht owners), and in former years the hunting of whales. 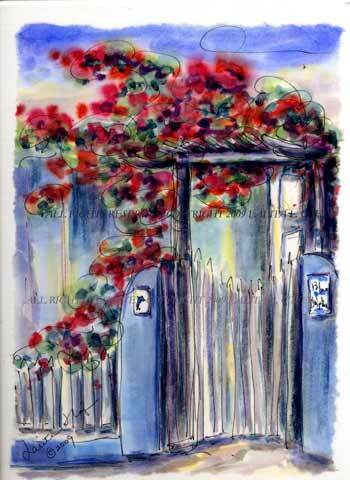 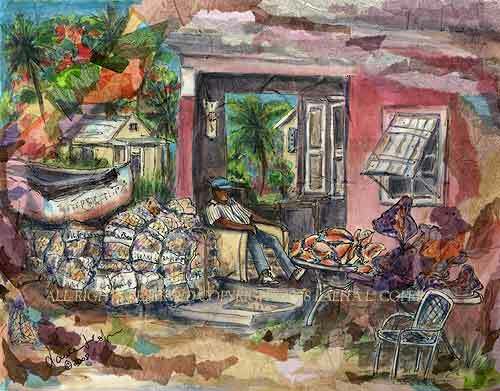 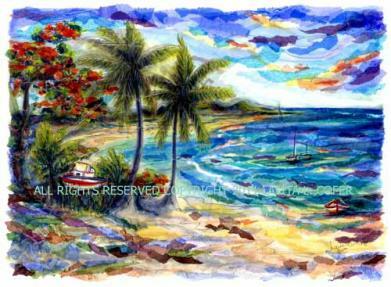 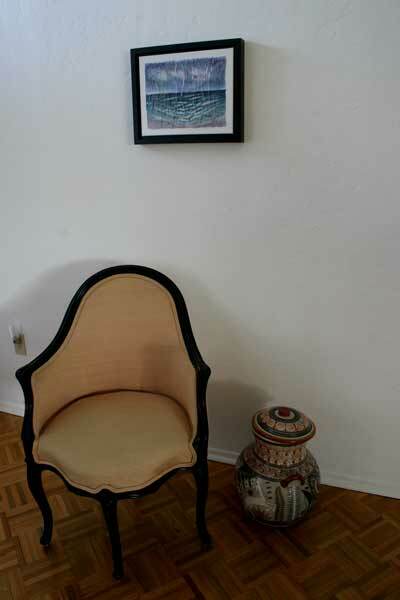 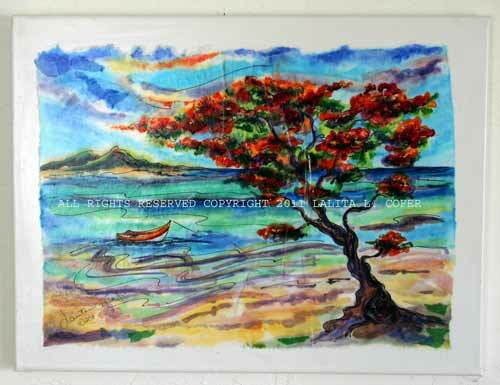 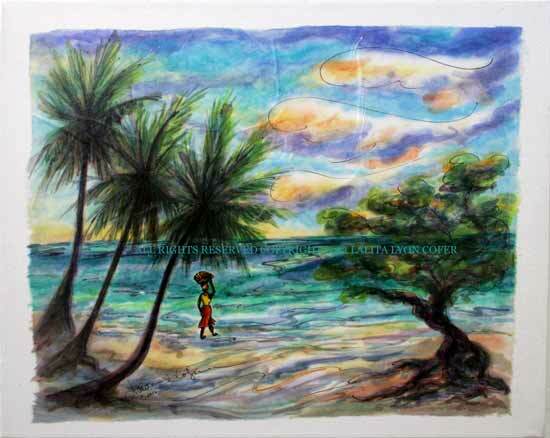 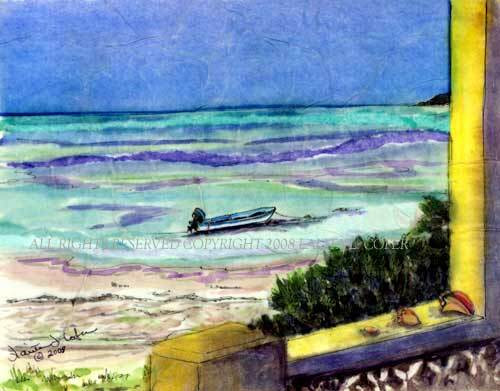 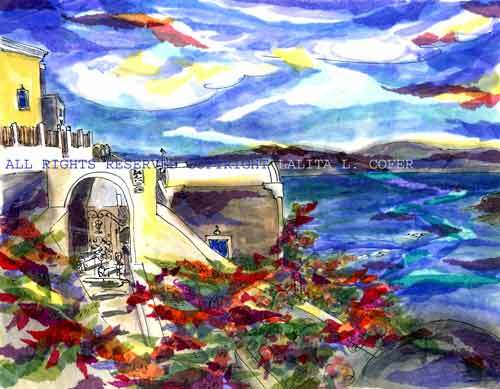 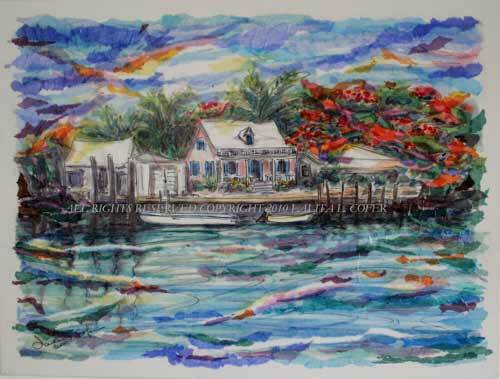 print on paper of "Bequia Island Blues", image size 15.5 x 11.5" includes shipping in a tube.